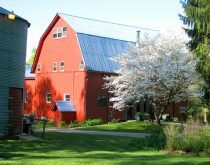 The Art Barn is a delectable slice of country charm. What a great place to escape, relax and paint ! I especially love the Indiana countryside in springtime.